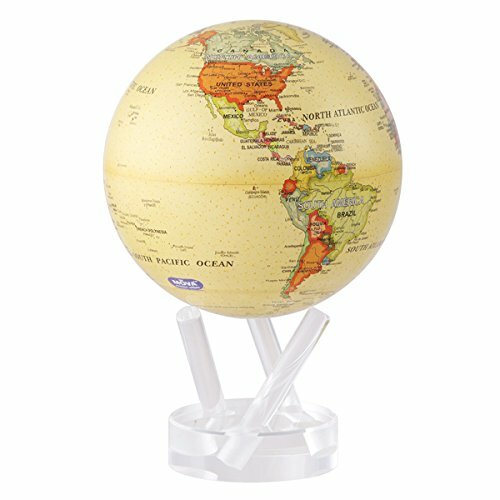 The Political Map Yellow MOVA Globe is a classic design, featuring a traditional political map with the oceans in a yellow, antique-like color. Each country is clearly defined with a different color and borders are easily distinguished. The MOVA Globe, composed of an inner and outer acrylic shell, rotates continuously in a counter clockwise direction when exposed to natural or artificial light, such as by a window or in an office setting. No batteries or wires required! Simply place the MOVA globe on its stand and watch the world go round and round, just as our planet earth does.